How Much is a Hotel Room in Szada? Hotels in Szada start at $118 per night. Prices and availability subject to change. Additional terms may apply. Wandering in Budapest? 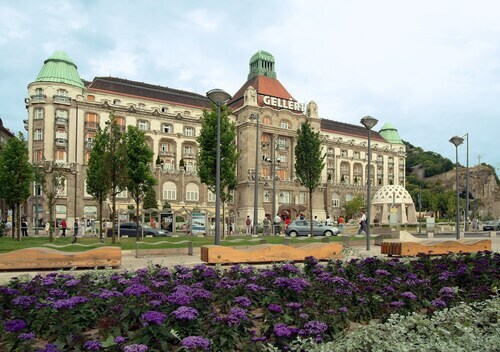 To experience it as the locals do, research places to stay that are within a short drive from downtown Szada. You'll be able to book 2 hotels and apartments within 6 miles (10 kilometers) of the CBD. If you plan to stay less than 3 miles (5 kilometers) from the downtown area of Szada, the Erzsebet Kiralyne Hotel is a promising choice. 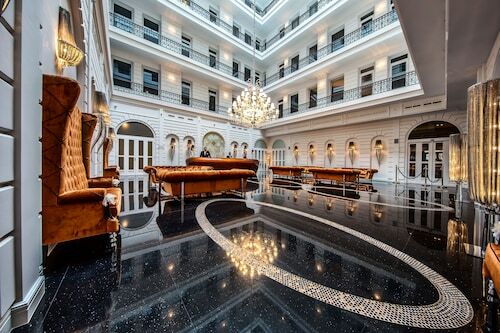 The Four Seasons Gresham Palace is about 15 miles (24 kilometers) from the heart of Szada. If you would prefer another option, the Boscolo Budapest, Autograph Collection is positioned 14 miles (23 kilometers) away. Other possible places to rest your head are the Budapest Marriott Hotel and the Buddha-Bar Hotel Budapest Klotild Palace. District XXII is 20 miles (34 kilometers) southwest of Szada and boasts Nagytétény Castle Museum and Tropicarium. The Holiday Inn Budapest-Budaörs and Hotel Luna are a handful of the great short and long-stay options in District XXII. 12 miles (20 kilometers) to the southwest of Szada, you'll find Kobanya, which is home to the Irini Panzió and Expo Congress Hotel. While in Kobanya, set aside some time to check out the Kozma Street Cemetery and Kincsem Park. Before you and your family leave Budapest, you should make sure you join the locals watching some fast-paced sport. Swing by Ferenc Puskas Stadium, to the southwest of Szada. Travelocity readers who enjoy the convenience of staying close to the stadium, book a room in the 7seasons Apartments Budapest or Bohem Art Hotel. 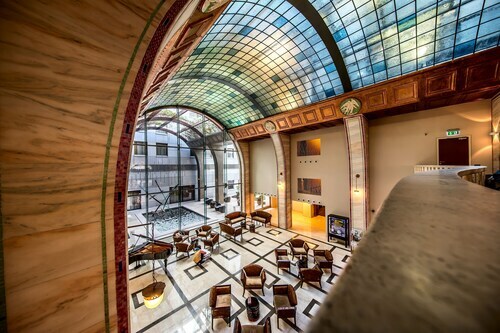 When you're flying into or out of Ferenc Liszt International Airport and plan to book a room in the area, why not consider Budapest Airport Hotel Stáció Wellness & Conference or Airport Hotel Budapest. Amazingly beautiful view from my hotel room! Great customer service. Great restaurant with good staff, good service and food! I will definitely be back! Close to the center, awesome stuff, awesome room. This was the third time I've been there and it's amazing as every time. This location of this hotel was excellent. We were steps from the Metro and within walking distance of several important sites. A couple of unusual things about the room; we found a pair of old flip flops under the bed. (we stayed in November); the shower gel in the room had been half used and housekeeping forgot to provide us with towels on our second day. The front desk staff were very accommodating with the towel issue and allowing us to have a late checkout on our last day. Our first night we had a nice dinner in the hotel restaurant and both days enjoyed the breakfast buffet. I would recommend the restaurant and breakfast. I stayed 4 nights and loved it. Good location in a quiet, residential neighborhood but walking distance to Metro and some sights. My room was comfortable and clean. The breakfast was excellent with lots of selections. I would highly recommend this hotel.